Regulation of Prana (vital force) is called Pranayama. The Prana is not merely the breath. The breathing process, (inhalation, exhalation and retention) does not constitute the Prana by itself, but is an indication that the Prana is working. We cannot see the Prana as it is not a physical object. But we can infer its existence from the process of respiration. 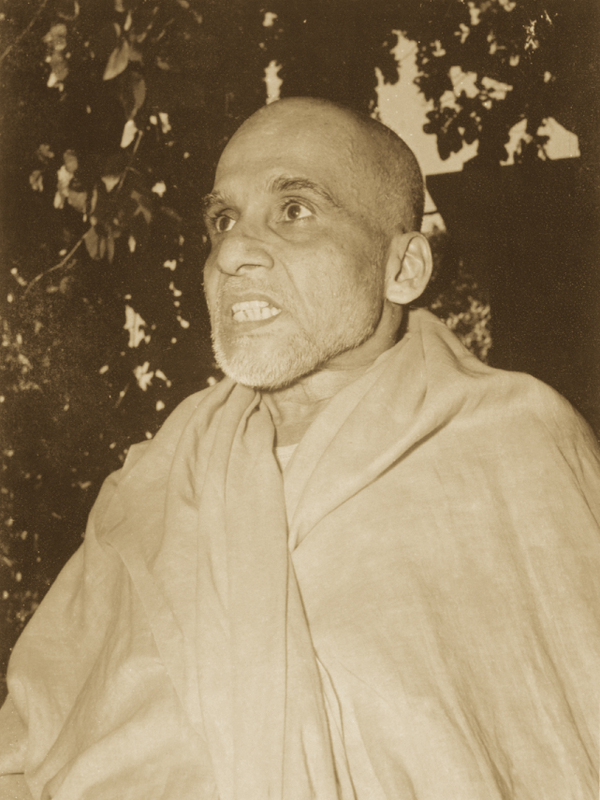 Air is taken in and thrown out by a particular action of the Prana. Some hold that there are many Pranas and others think it is one. The Prana is really a single energy, but appears to be many when viewed from the standpoints of its different functions. Pranayama is a method of harmonising not only the breath, but also the senses and the mind. Through the practice of Pranayama, the body becomes strong and healthy. Too much of fat is reduced. There will be lusture in the face of the practitioner who will be free from diseases like cold, cough etc. By the practice of Pranayama, the apices of the lungs will get proper supply of oxygen. There will be an improvement in the quality and quantity of the blood in the system. All the tissues and cells will be nourished with plenty of pure blood and lymph. The process of metabolism will be carried out in an efficient manner. Important Note: (i) Pranayama exercises should be preceded by relaxation in Savasana, so that the body and mind may be calm and undisturbed before starting Pranayama. 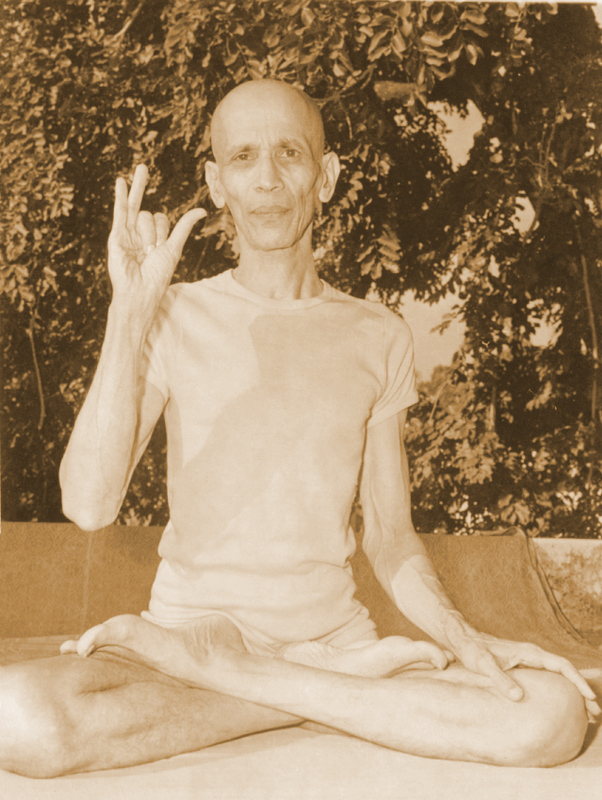 (ii) All the Pranayama exercises should be practised in any one of the sitting postures with head, neck and spine erect. After relaxing in Savasana, sit in any one of the sitting postures according to your convenience. Inhale and exhale through both the nostrils, without producing any sound. During inhalation, expand the chest and lungs and feel that fresh oxygen is entering the system, and during exhalation,contract the lungs as much as possible and also feel that all the impurities are going out. If you feel that the nostrils are blocked due to cold, gently press the right nostril with the right thumb and breathe in; and breathe out through the left nostril, without producing any sound. Then close the left nostril with the help of the little and ring fingers of the right hand, slowly inhale and exhale through the right nostril, without producing any sound. Do this process six times. Gradually increase it to twelve times. This is one round. You can increase the number of rounds according to your strength and capacity. This clears the bronchial and nasal passages, frees one from cold, headache, etc., and increases the breathing capacity of the lungs. 'Kapala' means skull and 'Bhati' means shine. This exercise cleanses the skull. Thus it becomes a purificatory exercise. The regular practice bestows a shining (skull) face to the practitioner. This prepares the student for the practice of Bhastrika Pranayama (see item 3 below). Sit in any one of the sitting postures and keep the spine and neck erect. Exhale quickly through the nostrils with a slight movement of the lower abdomen. Concentrate on the tip of the nose. You should not contract the face muscles. Short inhalation should follow each exhalation. To start with, you can have a speed of one expulsion per second and you can practise one or two rounds, each round consisting of eight or ten expulsions. Take rest with normal breaths after each round. When one is sufficiently advanced in the practice one can increase at the rate of ten expulsions for each round, per week, till one gets 120 expulsions in each round. Two or three rounds may be done in the morning and evening. This exercise cleanses the skull, the respiratory system and the nasal passages. It destroys diseases of the phlegm. It removes the spasm in the bronchial tubes. Consequently, Asthma is relieved and cured also. The impurities of the blood are thrown out. Heart functions properly. The circulatory, respiratory and digestive systems are toned up to a considerable degree. Bhastrika means bellows. 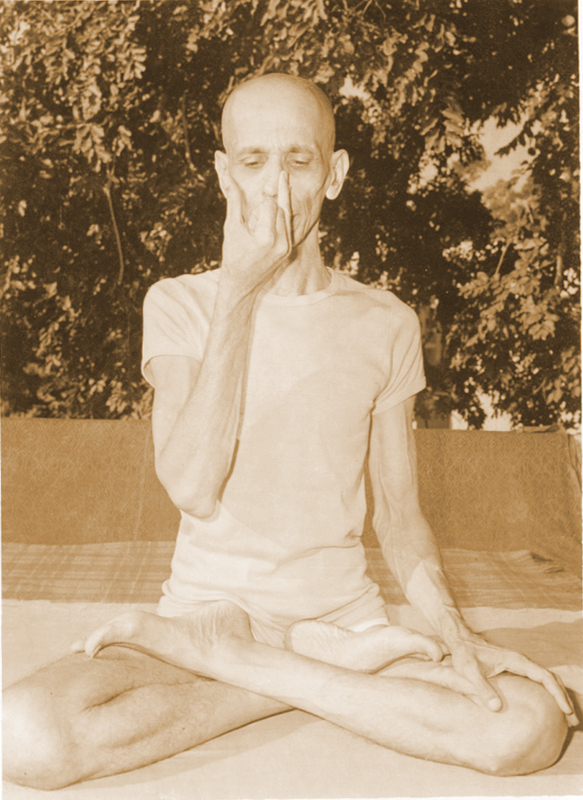 Rapid succession of forcible exhalations is a characteristic feature of the Pranayama. Sit in any of the postures. Rapid and deep expulsion and intake of breath through the nostrils should follow one another in quick succession. With each expulsion and inhalation of breath, contraction and expansion of abdomen should be there. Start with six, eight or ten expulsions of breath for one round, according to your capacity. The final expulsion in each round should follow with deep inhalation and retention of breath as long as you feel comfortable. Rest a while after one round of Bhastrika. Care should be taken that unnecessary pressure is not given on the lungs. Beginners may start with two or three rounds, each round consisting of six to ten expulsions, one expulsion per second. Gradually increase the number of the exhalation and inhalation to 20-30 per round, keeping the number of rounds to 2 or 3. Bhastrika relieves inflammation of the throat, increases the gastric fire, destroys accumulation of phlegm, removes the diseases of the nose and chest and eradicates asthma, constipation, excess of wind and bile. It gives warmth to the body. The practitioner will keep good health. Sit in any one of the postures. 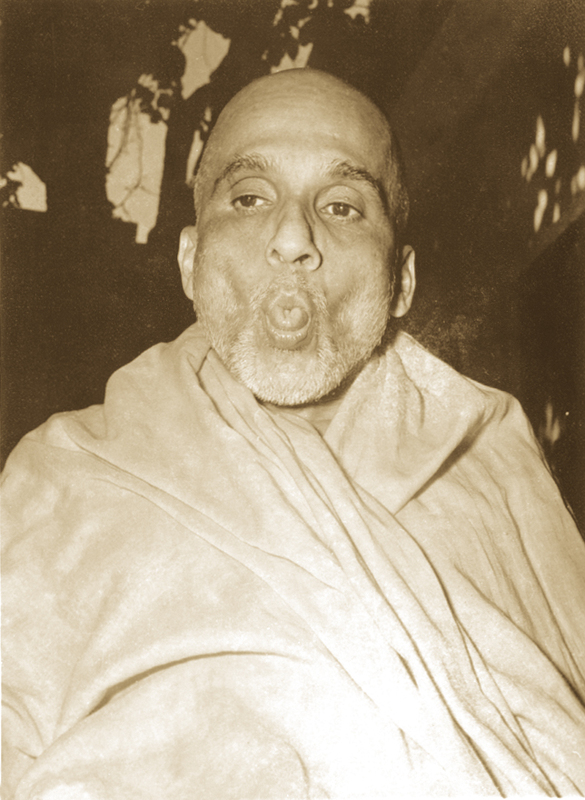 Open the mouth and form the lips into 'O' shape. Protrude the tongue like a tube. Draw in the air through the tongue tube. Fill the lungs with fresh and cool air as much as possible. After inhalation, withdraw the tongue and close the mouth. Lower your head and touch the collar bone with the chin during retention of breath. (For the Posture see page no. 75). Exhale slowly through both the nostrils after bringing your head erect. Practise this daily ten to fifteen times. This Pranayama cools the system, soothes the eyes and ears and purifies the blood. It quenches thirst and appeases hunger. It cures chronic dyspepsia (indigestion), inflammation of the spleen, various chronic skin diseases, low fever, biliousness and phlegm disorders. Open the mouth, fold the tongue upwards inside the mouth so that the tip of the tongue might touch the upper palate, and draw the air through the mouth with a hissing sound (seet). After inhalation, bring the tongue to its original position. Retain the breath as long as you feel comfortable, and then exhale slowly through the nostrils. Repeat it six times, and gradually increase the number. Same as in Sitali Pranayama. Sit in a comfortable posture. Close the mouth and eyes and concentrate on the sound produced during inhalation due to the partial closure of the glottis. Inhale through both the nostrils in a smooth, uniform manner. The sound produced during inhalation should be continuous and of uniform pitch. Expand the chest when you inhale. The passage of the incoming air is felt on the roof of the palate and makes a sibilant sound. Care should be taken not to bloat the abdomen in the process of inhalation. Then, exhale slowly, deeply and rhythmically through both the nostrils. After some days of practice, you can also exhale through the left nostril after closing the right nostril with the right thumb. Repeat the process five to ten times to start with, and increase the number according to your capacity. This Pranayama aerates the lungs, soothes the nerves and tones up the entire system. It is good for persons suffering from high blood pressure or coronary troubles, when done in a reclining position. Sit in a comfortable posture according to your convenience. Keep the spine, neck and head erect. Keep the middle and index fingers bent and the other three stretched. Close the right nostril with the right thumb. Very, very slowly inhale through the left nostril without producing any sound. Then close the left nostril with the little and ring fingers of the right hand. Then exhale very, very slowly through the right nostril, by releasing the right thumb. Now half the process is over. Slowly and harmoniously draw in air through the right nostril and exhale slowly through the left nostril. This completes one round. The ratio for inhalation and exhalation should be 1:2. During the first fifteen days inhale for 5 seconds and exhale for 10 seconds. In the second fortnight increase the duration of time to ten seconds for inhalation and twenty seconds for exhalation. During inhalation and exhalation, expand and contract (respectively) the lungs, as much as possible. Before exhalation, slowly lift the head, keep it erect, and then exhale. This is release of Jalandhara Bandha. Warning: If you feel headache, heaviness of the head, giddiness, uneasiness, etc., it means, you are exerting and giving much pressure on the lungs. You should therefore reduce the duration of time of retention. The first symptom of correct practice of Pranayama is, the feeling of freshness, energy and lightness of the body and mind. If you feel any negative result, avoid the practice of retention of breath immediately and consult an expert. This Pranayama removes all diseases, purifies the Nadis, steadies the mind in concentration, increases the digestive fire and appetite, helps to maintain Brahmacharya.